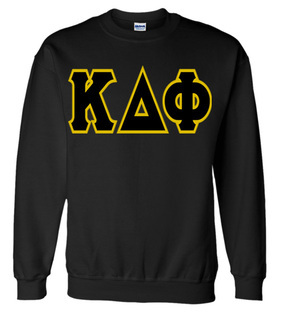 A good sweatshirt is just one of the must haves when you're a college kid. 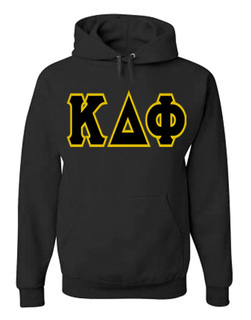 Stay warm and show your Kappa Delta Phi pride with quality, well-made Sweatshirts from Greek Gear. 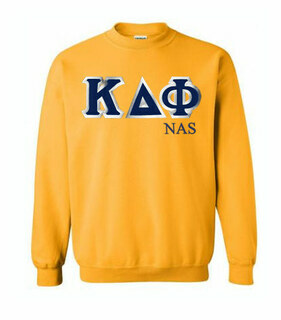 Do you keep your Sweatshirt tied around your waist, your neck or do you hang it from your book bag when it's not in use? 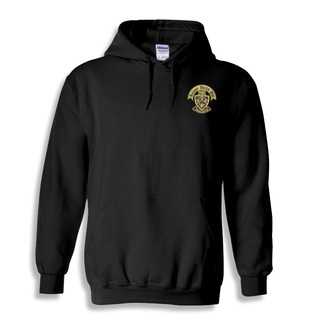 Whatever's your preference, you'll like the long arms and quality stitching on the�Crest Emblem Hooded Sweatshirt. 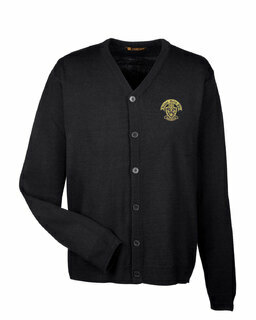 The standard apparel color is white, but you can get it in all black everything except for the gold accents on the crest patch. The Full Zippered Hoody is a similar style, except it doubles as a zip down jacket. 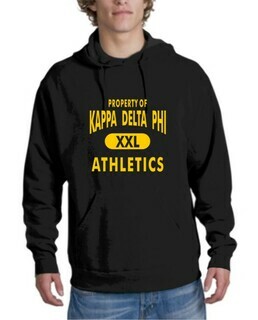 We sell a variety of screen printed sweatshirt designs, including the Athletics Hoodie and Letterman Hoodie. 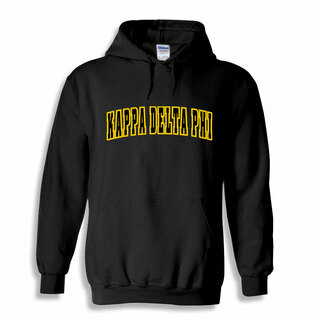 Your full organization name stretches across the chest in your favorite imprint color. 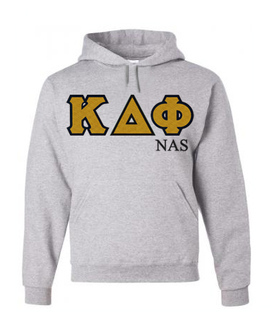 If you prefer to wear your Greek letters, pick up the Twill Hooded Sweatshirt. 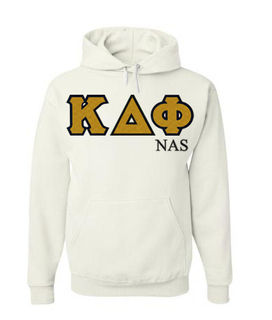 You'll also find clothing for Kappa Delta Phi NAS members here as well. A good hoodie will always be of use when you're away at school. 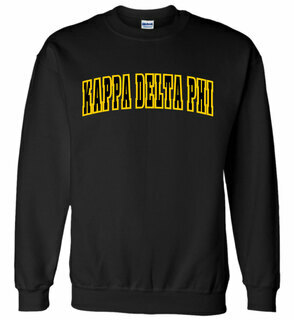 Envelop yourself in one of these Kappa Delta Phi Sweatshirts, or order more than one in all of your favorite colors! 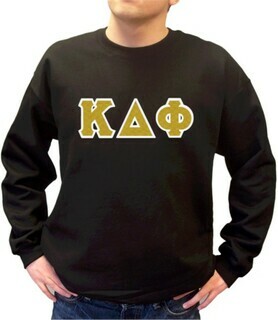 Kappa Delta Phi SweatshirtsThe Greatest Selection. Period.